It is time to make a confession. Even though we at Monochrome are highly passionate about fine timepieces and craftsmanship in general, we think about the future of watchmaking too. The future, whether it be smart-watches, cutting edge materials, application of never-before seen technologies or simply new and ingenious complications; we try to take everything in consideration. Even something as unexpected but very ‘today’ as 3D-printing, although we are not unbiased to all of this. We briefly touched – or actually predicted – the subject of printed watches or parts a couple of years ago but we’ve never really seen anything interesting enough to cover since. There have been some intriguing projects since we first mentioned it, including a 3d printed Tourbillon escapement by Nicholas Manousos (albeit in a 1000% magnified scale), including a free sprung balance and a symmetrical Co-Axial escapement. Promising stuff, but nothing for the wrist unfortunately. 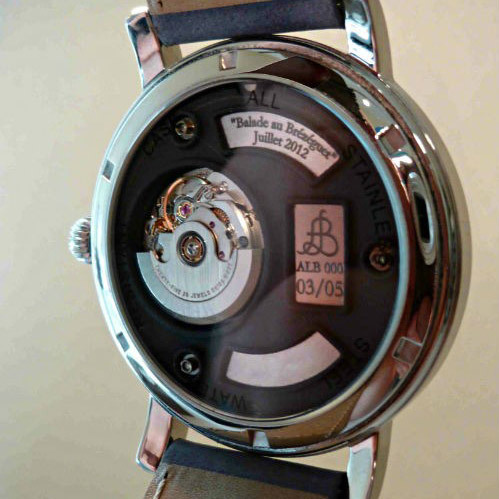 The people of ALB Watches (which is short for Atelier le Brézéguet – Horology Workshop) have created two watches including various printed parts; the ALB 000 Balade au Brézéguet and the ALB 100 Seconde d’Eclipse. According to their website, both models have been designed according a certain theme. The ALB 100 Balade au Brézéguet for instance, is described as followed: “This makes you dream of a journey to a timeless land, far away in the lot region. Its lights, its shades, its peaceful energy rise to the surface by successive touches and take you for a few moments to this dearest area, full of contrast and harmony”. Come again? To put all jokes aside, there truly is something to consider here, even though only the dial and movement holder are printed in these watches. 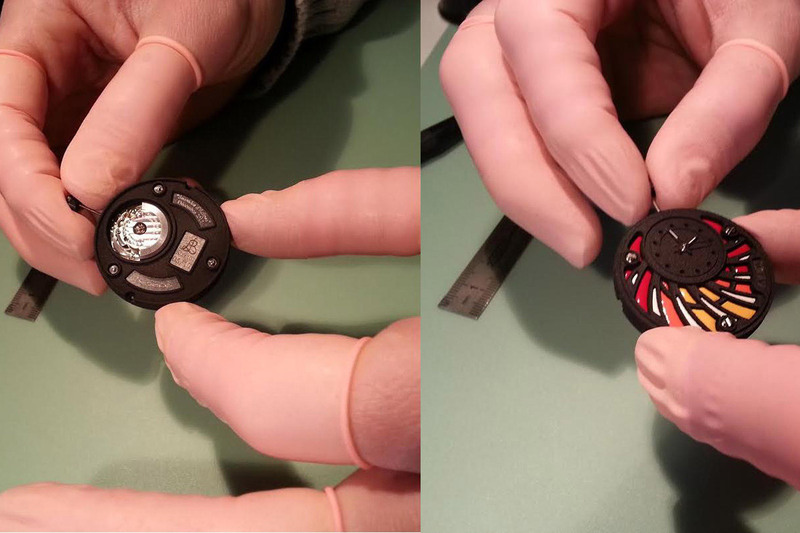 The case is generic, as is the movement, crown, strap and buckle, but printed watch parts are actually a thing to consider. Just think of the level of customization that can be done. 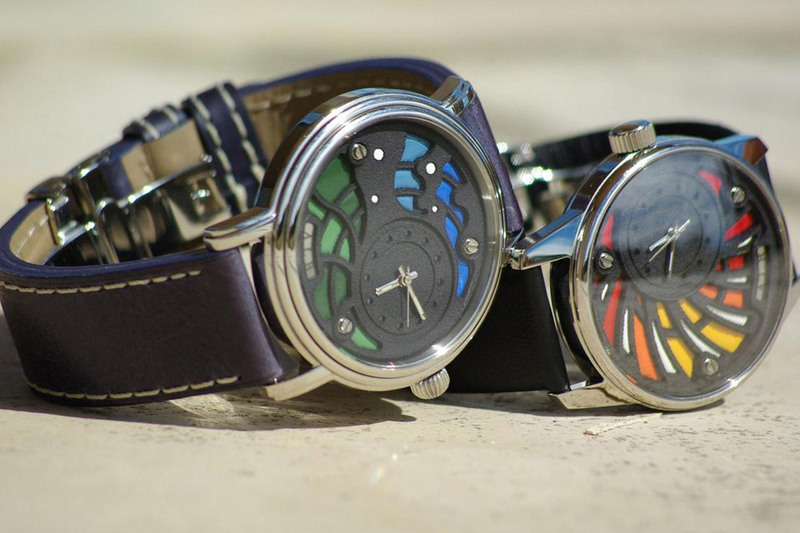 No more dependence of the design team of large, Swiss corporations or the tunneled inspiration of an independent watchmaker however beautiful they might be. You can be totally free, without spending hundreds of thousands of dollars on a unique timepiece. The selected movement for both models, the tiny ETA 2761, allows for a lot of “personal expression”, as ALB Watches calls it. 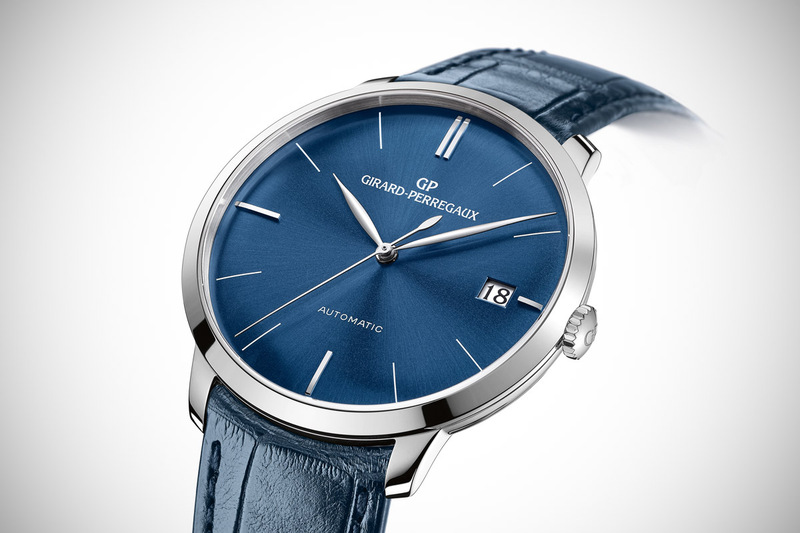 The off center indication of time, frees up the rest of the dial. 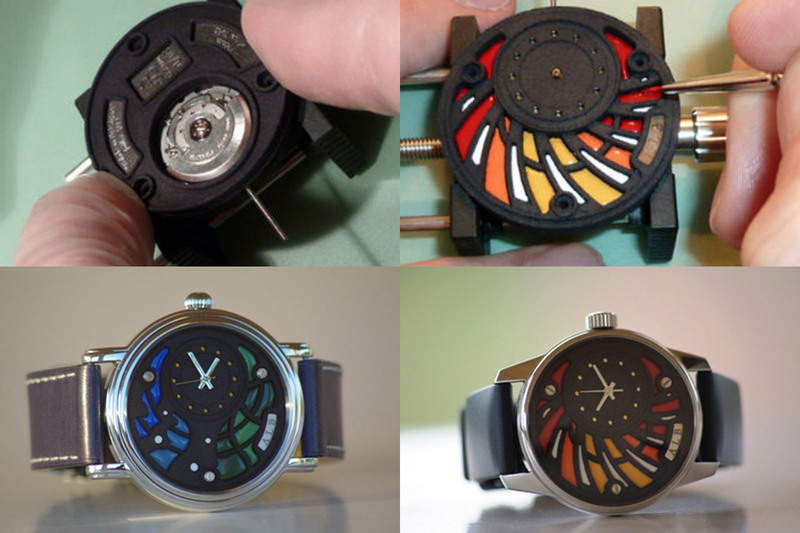 The printed black dial and movement holder are filled with colored pigments to give them a certain theme. Considering the endless possibilities of the product at hand, it is a bit of a letdown to find out that the watches are offered in limited runs. The Balade au Brézéguet will come in a run of just 5 pieces, and the Seconde d’Eclipse will be built 10 times. 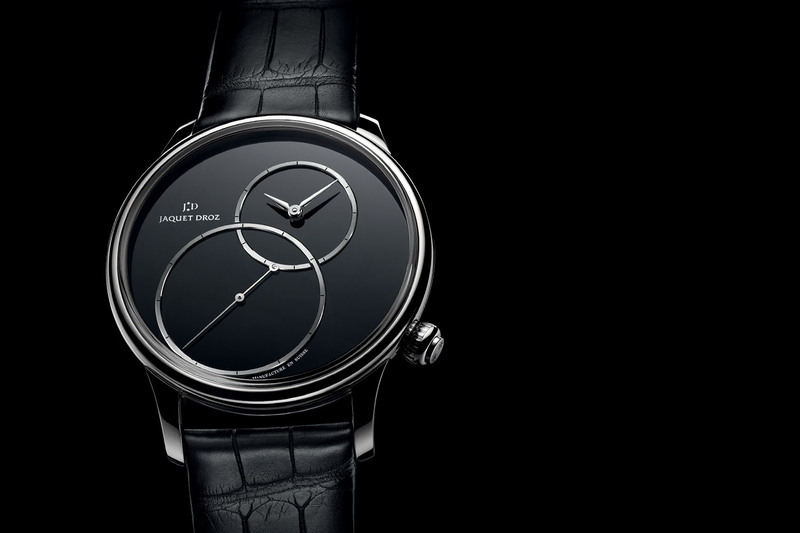 It seems that unique timepieces, with a carte blanche to the owner within the set boundaries would set it apart even more. We do believe that this very fact could be the biggest upside to 3D printing being used in watchmaking. 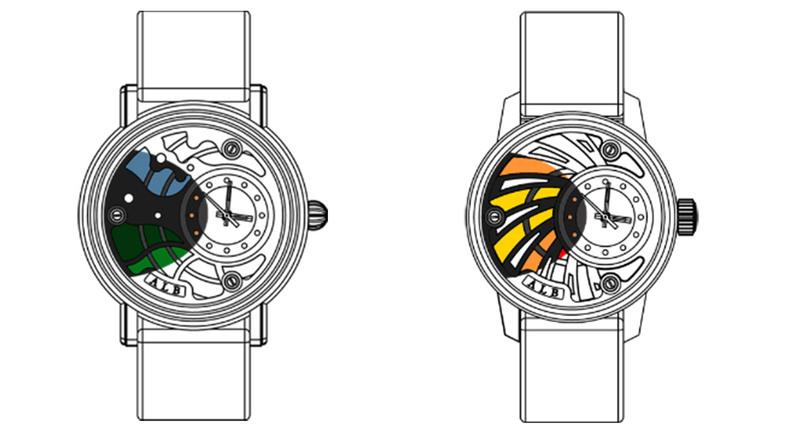 Being able to download or draw up your own 3D plans, and thus creating your very own timepieces has a massive appeal. Wouldn’t it be extremely satisfying to design and print your own tourbillon parts and then have it installed in your own designed and printed case? As for the specifications of the watches from ALB Watches, the Balade au Brézéguet measures 45mm across, and 10,4mm in thickness. 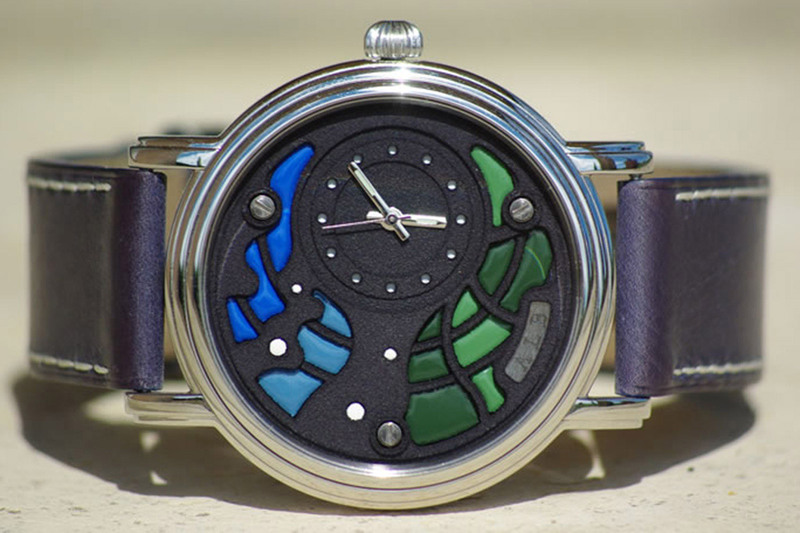 The case is fitted with sapphire crystals in the front and back, and features a dial built up out of five levels. The blue and green tones are hand applied. The Seconde d’Eclipse is a little smaller at 41mm across and 9,5mm thick. It too features sapphire crystals on the front and back. 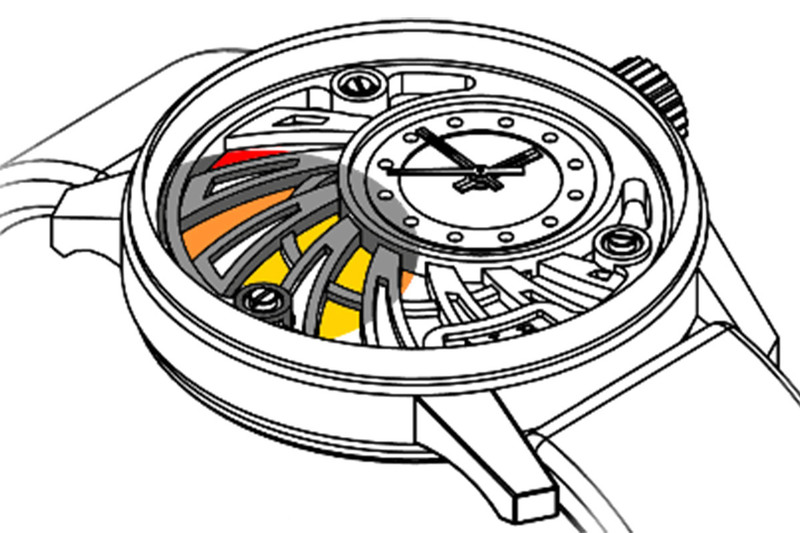 The dial is built up out of 7 different levels in red, orange and yellow tones, resembling a sunset. On both models there is a little plaque on the back to have your piece decorated with a personal engraving. Coming in at a price of € 1,500.— for each model and the very limited runs, it seems that offering true custom dials wouldn’t make the biggest dent in the buyer’s pockets. The extra costs will very likely be marginal, so why not go down that route? You are still stuck with the “personal expression” of the creator aren’t you? 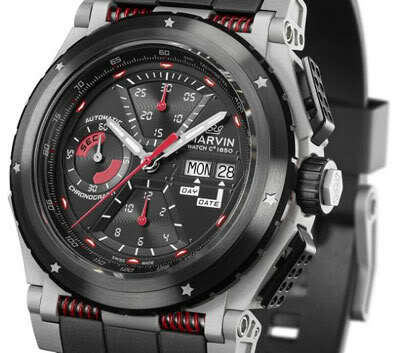 For more information regarding this project we direct you to ALB Watches’ website.